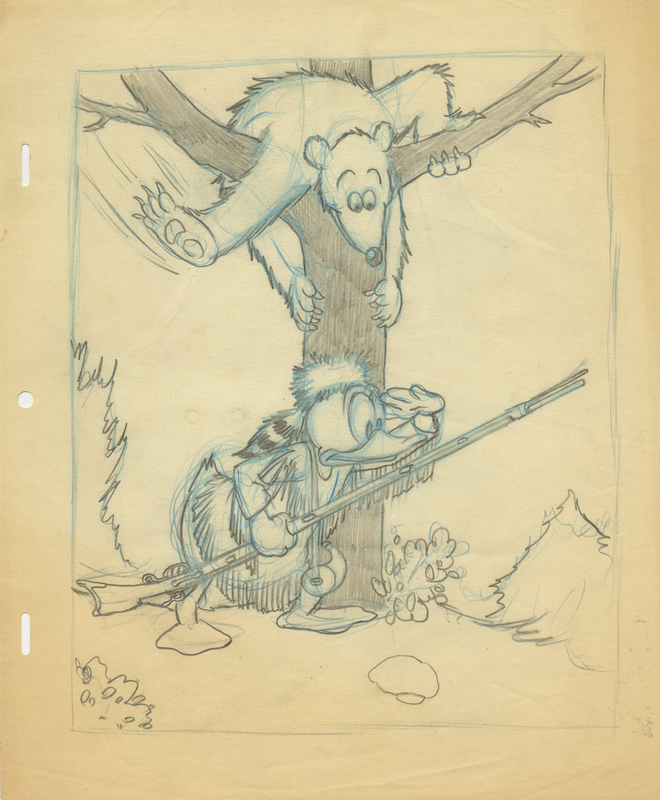 This is an original publicity drawing from the Walt Disney Studios created during the 1950s. 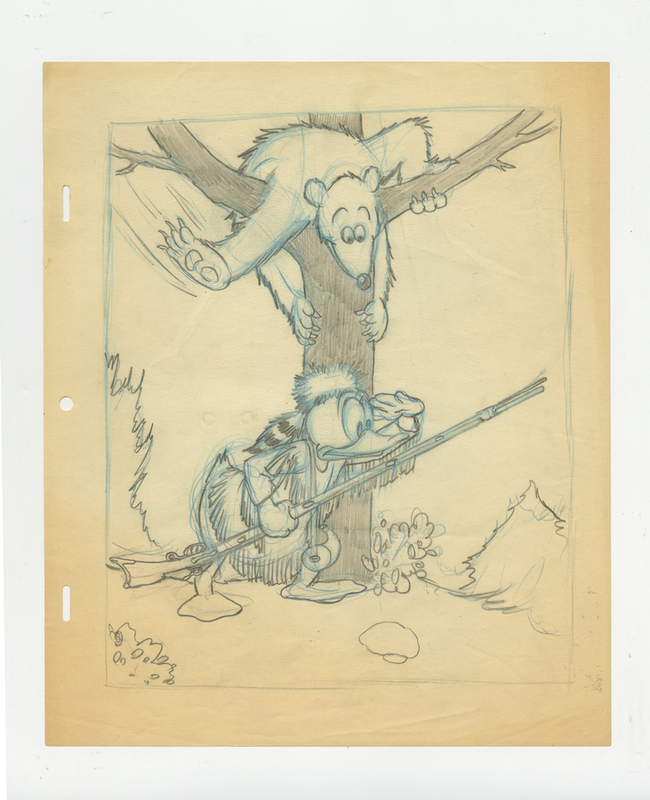 This drawing features Donald Duck in his Davy Crockett style Frontierland costume while he is out hunting. It was created by studio artist Hank Porter either as in development for a poster for a short or as a merchandise design for a puzzle or other consumer product. The overall measurements of the piece are 12" x 10" and the image itself measures 10" x 8". The drawing is in very good condition.